“Las palabras no describirán lo feliz que estoy con esta compañía. Estoy a punto de empezar mi primer negocio de remolque de alimentos y no creo que podría haber elegido cualquier mejor empresa para construir mi remolque. Todo el equipo hecho proceso tan fácil y simple. La calidad del remolque es justa…. ¡¡Gran!! Estoy deseando trabajar con ustedes de nuevo en el futuro “. “Fueron maravillosos para trabajar. Trabajaron con nosotros haciendo sugerencias y agregó cualquier cosa que pedimos. El servicio al cliente está a la vanguardia de su negocio. Mike estaba en constante comunicación con nosotros, haciendo recomendaciones y mantenernos en el conocimiento. Such a joy and wonderful experience to work with all the staff at quality trailers. From beginning to end the entire process was well thought out. I was VERY particular about the details of my trailers and everyone was so accommodating all while making the trailer of my dreams. When I picked up the trailer there were a few changes that needed to be made and they quickly fixed everything with no questions asked. 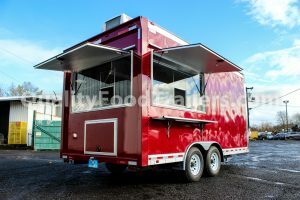 Definitely the best food trailer manufacturer in Portland. I wouldn’t go anywhere else. Just Bought a 14ft Trailer from them! Great to work with,. Excellent communication. HIGHEST of quality product. Very pleased. Our trailer turned out amazing. I get tons of compliments on the construction. They made sure everything was to my liking and fixed any issue we had! No doubt you build great trailers. We get compliments all the time and we're not even open for business yet. Not open, mainly for the way our issue has been handled since you first became aware our refrigerator wasn't working. A brand new, unused trailer with a defective appliance unit. We have tried to be patient and have given multiple opportunities for the issue to be resolved. This has been a problem since approximately July 12th. We believe it's fair to say the customer service quality and problem solving needs improvement. We have not been able to open for business due to this issue. It took about 4 weeks for the first defected unit to be replaced. But the second unit was also defective. It's unbelievable!! As a professional company building trailers, it's not the customer's job to equip the trailers with the appropriate appliances. The main manufacture for this refrigerator has stated this type of refrigerator is not for trailers, because of the limited space for them. Yet, Angel claims this is not true. But two different refrigerators have malfunction. 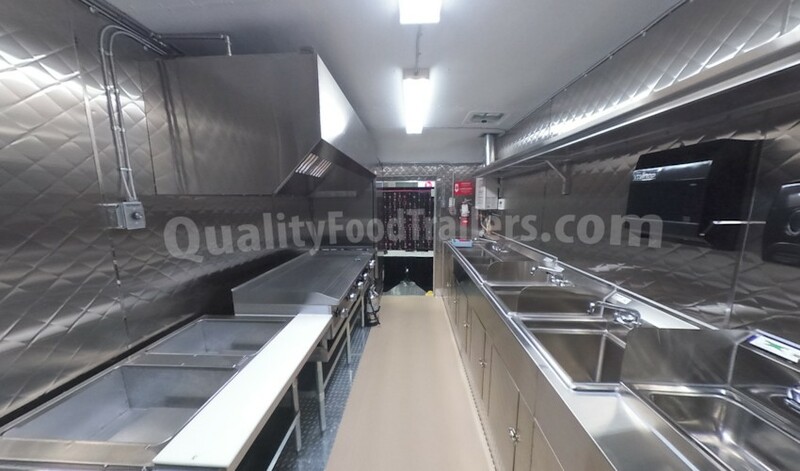 Our trailer was paid in full, the money paid was for a brand new kitchen, one that would be built with the best cooking equipment and be ready for business. It's only fair we get a new and appropriate refrigerator. The effort to solve this issue is appreciated, regardless of all the time it has taken. We hope the new unit works properly. -I will update my review based on results.UPDATE: I want to apologize for my delayed update. 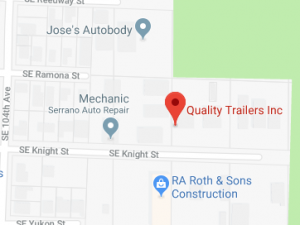 The crew from Quality trailers came from Portland to Klamath Falls (5 hours away) to fix the problem personally. They did a wonderful job and we haven’t had any problems since. The problem was professionally well done and it’s been done now for about 6 months. Again, Thank you for the effort and dealing with the problem professionally. -Vicky’s Kitchen. 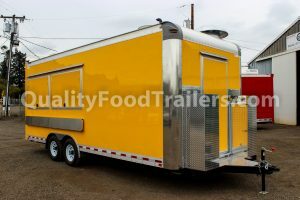 I just had a 24' trailer built and have been open for 3 weeks now. I love everything about my trailer, it's perfect and exactly what I wanted. The entire staff was amazing and very helpful. No matter how many times I called to ask a couple questions or to check my build status, I was always treated with professionalism and speedy call backs. 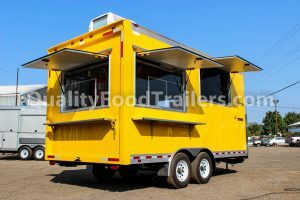 I recommended Quality Food Trailers to EVERYONE looking to start their own business. They are the TOP OF THE LINE. We LOVE our trailer. The guys are excellent to work with and know their stuff. They advise you well on what is required to pass inspection and even our health dept. inspector was impressed! Quality build. Mike and the gang are amazing! Great to work with and will be coming back for our expansion. 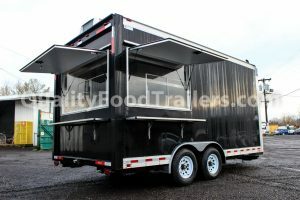 We get tons of compliments on the quality of the trailer. Highly recommend them! Mike and his team built us a 20 footer. They did an excellent job and were very easy to work with. Thank you!! These guys have done an amazing job converting my double decker to a coffee bus. You can't find anyone better to make a mobile food or beverage cart or any cart for that matter.